Once upon a time, I had no idea what it meant to have a pure undiluted passion for something. When I first entered the college scene as a freshman, I wanted to major in something lucrative and professional, but that’s all I knew. After a year and a half, reality slapped me in the face like a disrespectful troll. I realized that I was not the professional, corporate type. I hated the idea of working in a world full of robotic clones, strict dress codes, and mounds of meaningless data. Besides, I always found myself completely drawn to the glossy pages of Harper’s Bazaar, fantasizing about attending luxurious galas, writing about Lacroix, and nibbling on hors d’oeuvres. How would I permeate this world with a “professional” degree, and more importantly, permeate it without wasting a small fortune through student loans and grants? Ugh, it was the worst. 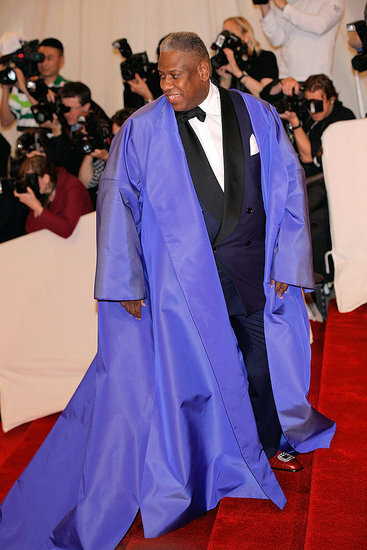 Then like a well-dressed fairy God Parent with impeccable taste in high fashion entered, Andre Leon Talley. I was first introduced to Mr. Talley in 2007 when he was featured on a Style Network television special. 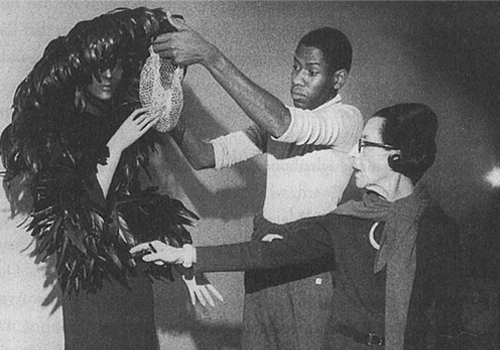 Back in those days, the Style Network was more focused on the crème de la crème of fashion (and less on those annoying reality shows). His ensemble seized my attention before anything else. I believe he was wearing his signature long dark floor-length cape, probably paired with the most immaculately shined shoes. “Who is this extraordinary fellow?” I thought. I’m not going to lie; the fact that he was a successful African American in a notoriously racially biased industry was most encouraging. So naturally like any other fashion icon I’d developed a hopeless infatuation with, I proceeded to research everything about him. My first stop was Vogue Magazine where Talley resided as the editor at large for 30 years. His column Life with Andre gave me so much life. I was hooked reading about his encounters with fascinating people and places. He wrote so vividly about high fashion, often comparing it to classic works of visual art. Those stories nourished and encouraged the artist within, and I longed for more. I was inspired, and after taking an art class or two, I also began seeing connections between the art and fashion worlds. The only logical next step for me was to major in art history. As an official art student, I read and re-read his autobiography, ALT: A Memoir. In this heart-warming account, Talley recalls his modest upbringing in Durham, North Carolina. I particularly loved how he doted on his grandmother as being one of his main fashion inspirations. But, he also shed light on the fact that it wasn’t always sunshine and roses. The influential fashion editor abandoned a more “practical” career path as a French professor in favor of the finicky fashion world. This obviously resonated with me and my decision to take up fashion writing. The more I read about how he survived his first foot-in-the-door job answering phones for Andy Warhol for $50 a week, the more I felt empowered. This man has seen it all. He’s influenced the styles of powerful women from Academy Award Winning actress Jennifer Hudson to First Lady Michelle Obama. But even after decades as a strong presence in the fashion industry, his achievements are somehow eclipsed by Vogue’s editor in chief, Anna Wintour. Let’s be honest, the fashion world isn’t known for its diversity, and Andre Leon Talley knows that. It came as no surprise when he decided to leave Vogue two years ago for a higher paying editorial position in Russia. He stated, “I felt I had gone to what is called the glass ceiling there, and nothing else was going to happen.” That was and is Vogue’s loss. Perhaps they will recruit Kim Kardashian to take his place? Just kidding and throwing slight shade. Andre Leon Talley. I write to you, speaking into existence that one day you may know how I am grateful for your passion and expertise. You helped me discover that fashion is, in fact, a true art form. Andre Talley is and always be superb. I love him and have thought of him as a fair godmother to fashion and quickwit. I love hearing him talk about his latest dealings or takes on fashion. Andre Talley is and always be superb. I love him and have thought of him as a fairy godmother to fashion and quickwit. I love hearing him talk about his latest dealings or takes on fashion. 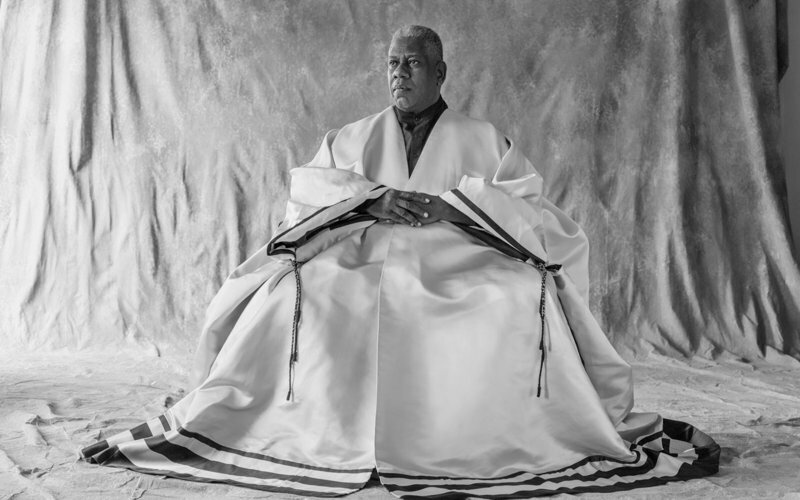 Andre Leon Talley is wonderful!